Take from the ground of the 9/11 memorial in NYC. 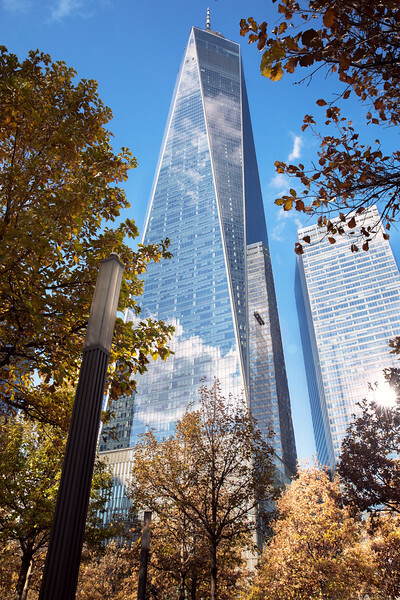 The One World Trade Centre stands where the twin towers once stood. Positioned on top of the tallest building in the Western Hemisphere, on levels 100, 101, and 102 of the 1,776 foot tall One World Trade Center building, One World Observatory provides unique, panoramic views of New York City, its most iconic sites, and surrounding waters. This was taken using my Canon 5D Mark IV (Wex PhotoVideo) and a Canon EF 24-70mm f2.8L II USM Lens (Wex PhotoVideo). I have a growing portfolio of royalty free Images and Footage available for sale to help you enhance your website / blog or that final piece of content to complete your creative project. Looking to make some income selling your images, start your own portfolio on Shutterstock.